TruckGuru is a Logistics aggregator and online truck booking platform offering on-demand truck transportation and Freight Forwarding solutions. 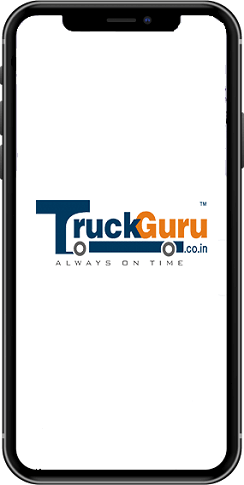 TruckGuru generates instant booking for any kind of truck, from anywhere in Bengaluru to Surat. Whether you need to move goods Bengaluru to Surat or maybe anywhere outside in Bengaluru to Surat, you get trucking needs confirmed under one roof. Unlike other online truck booking service providers, TruckGuru offers online Transportation and Logistics Services, to cater to all types of good movement needs, both in full load and part load capacity. 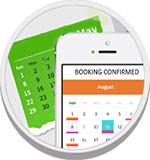 You can take advantage of both their online booking platform or app to hire trucks. Our full truckload includes a truck type such as - Tata Ace, Tata 407, Mahindra Pick-Up, Eicher 14Feet, Eicher 17Feet, Eicher 19Feet, Tauras 16Ton, Tauras 21Ton whereas Part Load includes parcel, packages, and bulk courier delivery. TruckGuru helps to support good transportation of customers Bengaluru to Surat and across pan geographic locations. We have developed TruckGuru as one of the most successful, professional logistic services and supply chain planning solutions. TruckGuru supports 3PL solution for SMEs in the domestic logistics services in Bengaluru to Surat. We also offer bulk parcel delivery and pan India door-to-door express delivery service for all industrial and non-Industrial part load transportation movement.